Commissioned by the Barangaroo Delivery Authority, this 27 minute film explores the site's history, from project inception, through to precinct development. 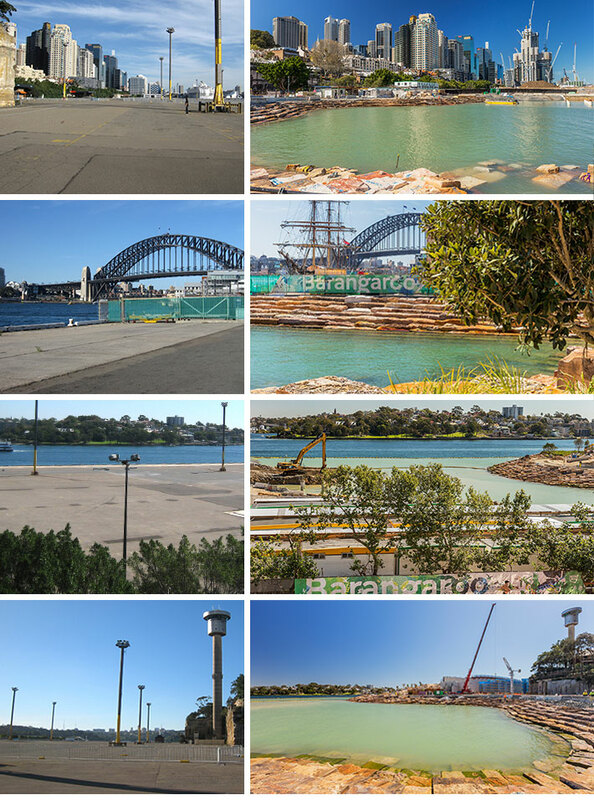 The film is told through interviews with people key to bringing Barangaroo into being, from designers and project teams to politicians and members of the public. Transformation is evident as the relic container port developed during maritime industrialization has been replaced by a new profile of sandstone blocks that step into the harbor waters. The sandstone has been extracted right on site and transported to the new foreshore, re-creating the Headland Park. Sandstone is currently being extracted from the site to create the new foreshore at the Headland Park. Once extraction is completed, the pit will be transformed into a 300-space underground car park. Marine works at the north-west corner are removing surface concrete and grading the foreshore profile. Some areas have already begun to take on the new landform profile as they lay the sandstone blocks. Plants being grown at Mangrove Mountain will be a substantial size at initial installation. The seedlings of several Eucalyptus species were collected near Sydney Harbor for propagation. Blended soils from the site were used to maximize growth. PWP developed strategies for using crushed and washed waste from the on-site stone quarrying, which, along with washed sand and compost additions, provide for optimal growth and health.